Hongmen Advanced Technology Corporation. (shorted as Hongmen) was started in 1997 as a mum-and-pop store and now is a corporation with registered capital of RMB 30 million. Our leading products include electric automatic retractable gates, automatic barrier gates and guard booths. 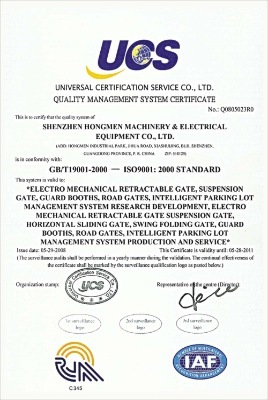 Since our establishment, Hongmen has been through a long way and become the leading renowned brand in the Chinese retractable gate market.With an area of 80,000 square meters in the prime location of Shenzhen, Hongmen Technology Park features easy accessibility and suitable environment, comprising two phases of construction. Phase One occupies a building area of 55,000 square meters and consists of one office block, four reinforced concrete standard manufacturing plants, one hostel block for senior staff, two hostel blocks for other employees, and two steel structured manufacturing plants. Phase Two comprises four blocks of reinforced concrete standard manufacturing plants and office spaces, two staff hostels, and one apartment block for senior staff with a total building area of 51,000 square meters. The Hongmen Technology Park, costing RMB 250 million, is self contained with comprehensive facilities and amenities, making us one of the few top-notch private-owned Technology Parks in Shenzhen.Hongmen employs over 30 staffs in R&D, more than 80 middle and senior managers and over 2,000 employees. During the past decade, our company has independently developed a total of 12 series of product lines comprising more than 100 products. We have obtained over 80 national patents. New products are constantly developed by the Company's engineers to ensure that at least several new premium products are introduced each year.Hongmen has established a comprehensive and wide sales and after-sales networks with over 50 dealers and more than 67 directly owned sales outlets and offices, covering 100% of the municipalities directly under the central government of China, 70% of county-level cities, and 50% of villages and townships. We have also successfully ventured into the international market by collaborating with the local businessman in countries and areas such as the USA, Saudi Arabia, Korea, Taiwan area, Malaysia, UAE, India and Vietnam, in line with the growing popularity of Hongmen products. 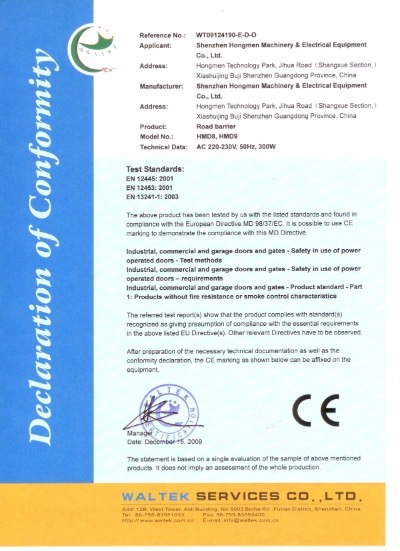 In addition, we are also providing OEM service for a Japanese public listed company. 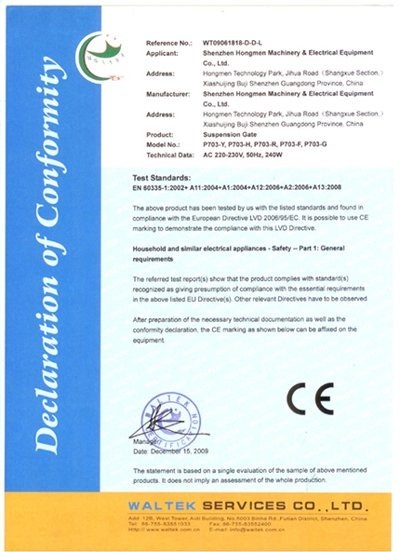 Hongmen products are largely sold to clients both in China and the overseas. In particular, our retractable gates, which have won the increasing acceptance and recognition of consumers with the outstanding quality, excellent performance and elegant designs. They have become the preferred choices for various organizations and institutions, including government, enterprises, uniformed bodies, educational institutions, stadiums and sport centers, and high end residential areas.In recent years, Hongmen has won numerous awards and recognitions. 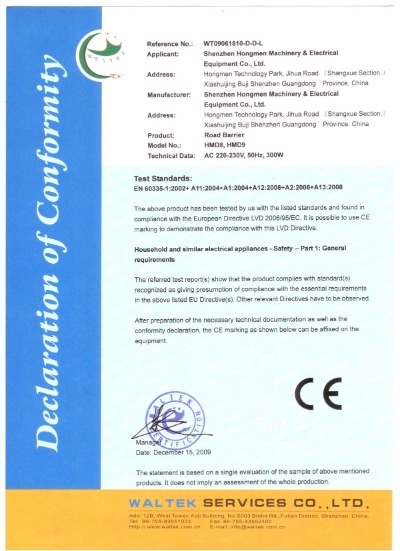 These include the China Quality Product Award, Reliable Quality Product Award, China Famous Brand, Famous Brand of the Building Material Industry, Well-Known Brand of Private Enterprises in China, Market Best Seller of China, and the National Top Ten Flag Pole Quality Certification (Recommended Key Unit). 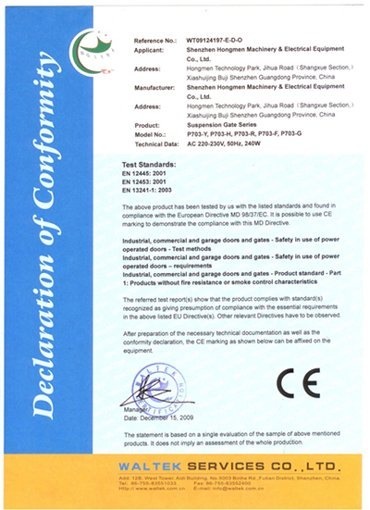 In addition, our company attained the ISO9001:2001 certification in 2002 and was rated as New High Technology Enterprise and 300 Growth Enterprises of Shenzhen by the Shenzhen Government, and was named by the authority as the Sincere and Reliable Enterprise in 2005. 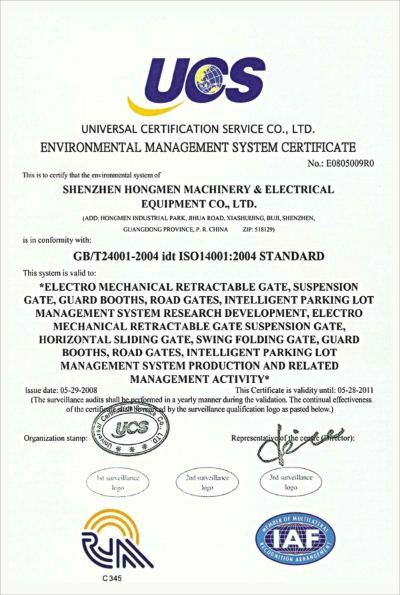 In 2007, we were awarded by the Shenzhen city official as the "Privately-owned Key Leader Enterprise".Hongmen now has become one of the largest electric retractable gate research and development and production centers in the great China. Under the leadership and stewardship of Jiahong Yu, the chairman and the founder of the company, our company is making big strides in our expansion and creating a world-class brand. 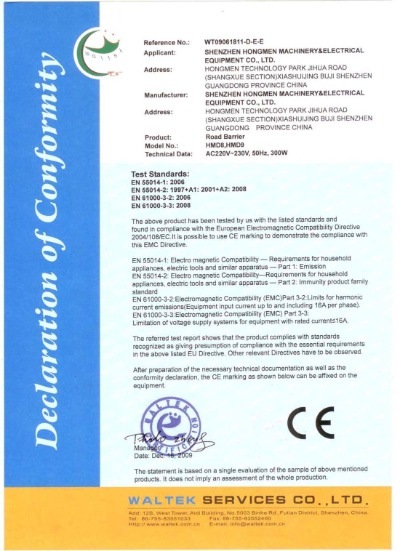 Hongmen Technology Park, Jihua Rd., Buji, Longgang district, Shenzhen 518129 CHINA.